Fees associated with the South African PCT national phase entry as well as other patent fees are available in the fee calculator. The time limit for entering the South African national phase of a PCT is 31 months from the date of priority. This term may be extended for three months. - international application number and filing date. 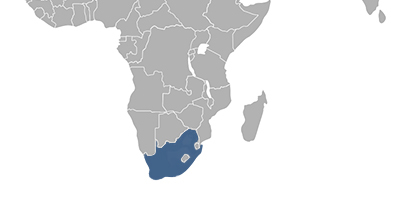 The official language of the South African IP Office is English. If the international application is filed in any other foreign language, the translation thereof into English must be provided within three months from the date of national phase entry. The Power of Attorney is not required to be legalised. It must be provided within six months from the date of the South African PCT national phase entry. Late filing of the Power of Attorney is subject to payment of a surcharge. If the inventor is not the applicant of the South African patent application the Assignment Deed must be provided; legalisation is not required. It is possible to submit thereof within six months from the South African national phase entry. Late filing of the Assignment Deed is subject to payment of a surcharge. A South African patent application based on PCT is examined according to the formal requirements only. There is no provision in respect of novelty grace period in the South African patent legislation. No official grant fee needs to be paid. The first patent maintenance fees are calculated starting from the third year from the international filing date. However, they are to be paid only after patent grant. For foreigners, it is required to perform the South African PCT national phase entry through an agent, a registered South African patent attorney. Online Search database for South African Patents. Please contact us if the above information contains any discrepancies with South African IP Laws.